Not 2 Shabby Shop Stamps and Scrappy Goodness! You can preorder your Lawn Fawn at Not 2 Shabby. I will start shipping the new products on Feb 21st release day! For orders over $60 I will be sending a free gift!! You will see the availability as backorder. 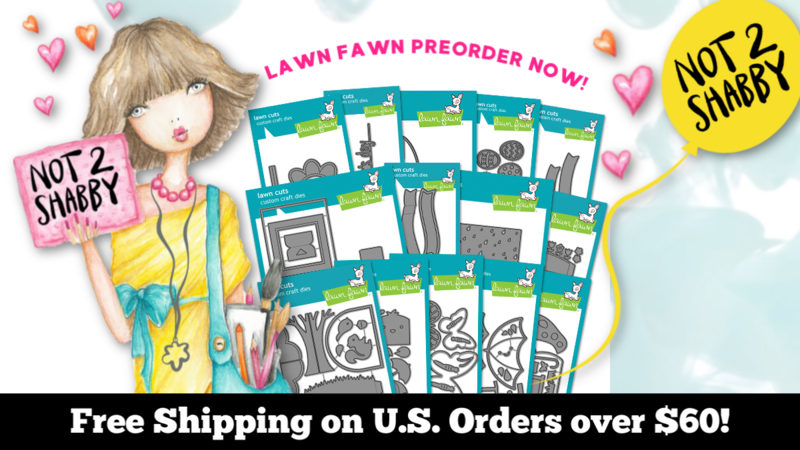 You will be able to place an order on the Lawn Fawn Preorder items. Your whole order will be on hold until shipping day. Please note after Jan27th I will have limited stock so it's best to get your order in before.